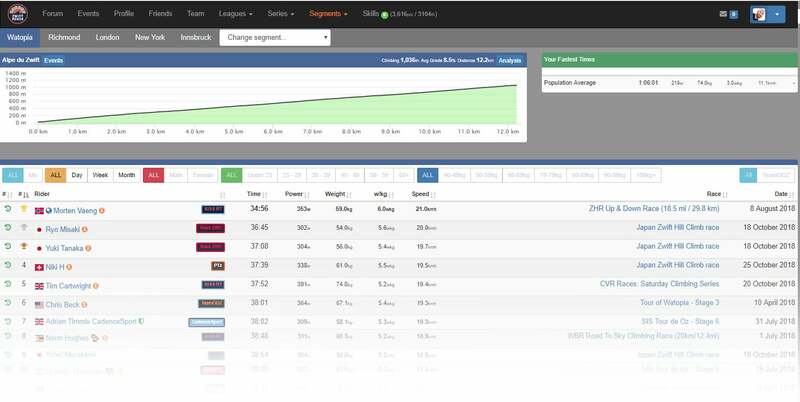 James Hodges manages ZwiftPower.com and has been hard at work upgrading and expanding the site’s features as we move into peak racing season. James is a talented developer, but he’s so busy making ZwiftPower amazing that he tends to neglect sharing news of site upgrades with the Zwift community. Because of this, I will be working with James to publish posts highlighting ZwiftPower upgrades. This is the first! I love Strava, and you probably do too. And most Zwifters will agree that accurate Strava segments for key Zwift routes are important, which is why we’ve created so many Zwift Insider verified Strava segments. That said, Strava leaderboards for Zwift segments are full of inaccurate results because it’s too easy to accidentally or purposefully post bad data. Dodgy smart trainers, inaccurate “virtual power,” weight dopers and more all wreak havoc on the accuracy of Strava leaderboards. If you visit ZwiftPower.com, click “Segments” and choose a segment such as Alpe du Zwift you can see James’ solution. He has implemented leaderboards on ZwiftPower for every KOM and sprint section on Zwift, but these leaderboards are only generated from logged Zwift events. That last part is key, because these events have at least some measure of oversight, allowing admins to automatically or manually DQ riders with inaccurate numbers. 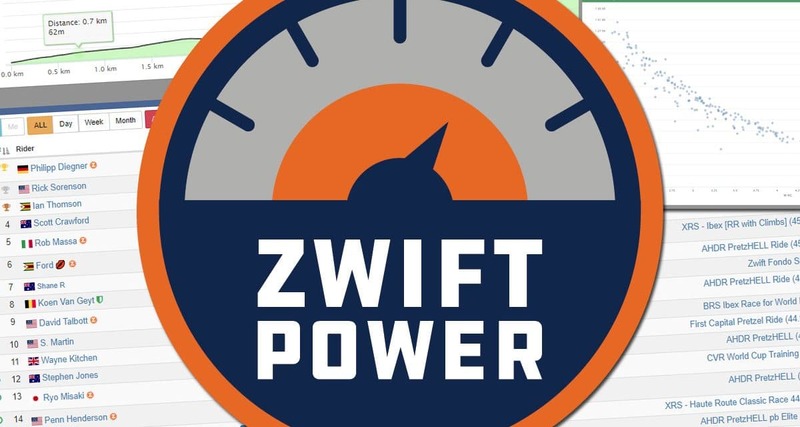 While race organizers still lack the ability to bar riders from entering races, they can modify the official ZwiftPower results post-event. These actions affect the segment leaderboards as well, and habitual offenders (more than 3 ZADA strikes) have their times automatically removed. According to James other suspicious times will be examined and removed as well, with admins regularly checking the top times for accuracy and removing any that are suspect. Weight doping (lowering your weight so you can climb faster) makes it easy to game Strava Zwift leaderboards, but unlike Strava every result on ZwiftPower displays the weight used during that effort. This makes it easy to spot riders who are changing their weight to gain an unfair advantage. Additionally, each leaderboard entry displays average power, w/kg, speed, and a link to the event in which the time was recorded. Is this solution perfect? Of course not. It’s still possible for a rider to race with inaccurate power and never be caught, because there is no workable way to validate every Zwifter’s power numbers at this time. Lower-category racers are especially prone to inaccurate power numbers due to their lack of training/racing experience and a lack of oversight from race administrators. That said, these ZwiftPower leaderboards certainly present the most realistic rankings available today, letting us see who the top Zwifters are and where we stand in the mix. Want to see how you stack up? Your best segment time is available at the top-right of the leaderboard page. Want to research a particular rider’s history on a segment? Hitting the green icon to the left of a rider’s name will display all their efforts. You must be logged into your ZwiftPower account for this to work. A segment analysis graph can be viewed from the “Analysis” button next to the statistics at top of page. 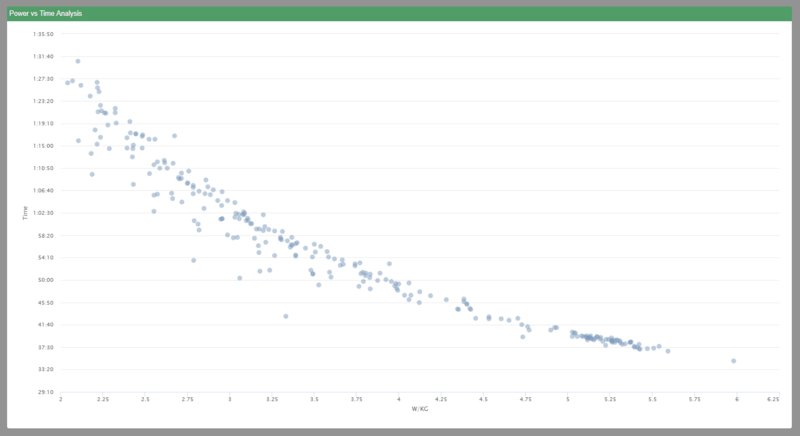 This shows the segment times compared to w/kg–a power vs time analysis (see sample below). A note from James: sometimes the power value is wrong due to Zwift issues, so please ignore a time that doesn’t appear to match the w/kg. If it remains listed the admins have deemed it acceptable. Sounds great. Quick request, as you are now working closely with James is it possible to do a FAQ/Key to all the icons, column figures etc on zwiftpower, I searched around a lot between facebook, Zwift forums and zwifpower and think I know most of the answers but a single definitive user guide would be fantastic – keep up the good work. That’s a very cool tool! Thanks!! !